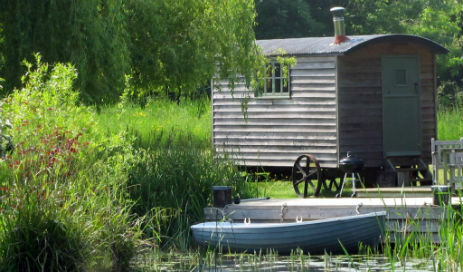 Glamp in style at the rural idyll escape of Borleymere Shepherd’s Hut in the beautiful Stour Valley countryside on the Essex-Suffolk border. 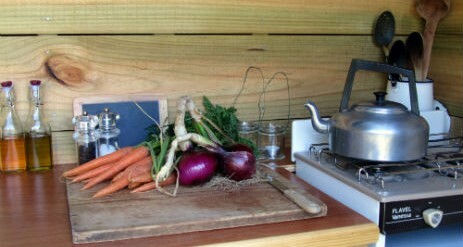 The Shepherd’s Hut is for two and is set in a completely secluded spot with no near neighbours, no farm buildings, no other huts. 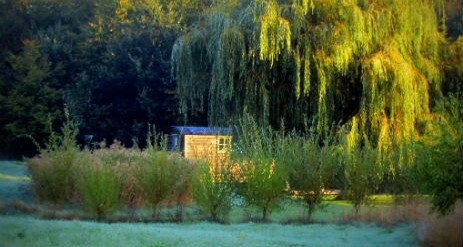 It’s not even fenced in because the surrounding meadows, woodland and lake are all yours for your stay. 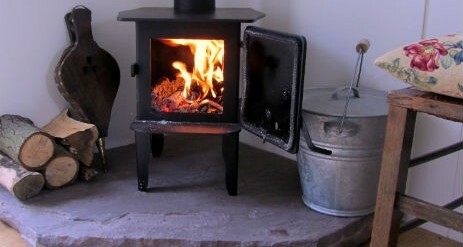 Borleymere Shepherd’s Hut offers the chance to shoot the breeze with the one you love and enjoy some real quality time. 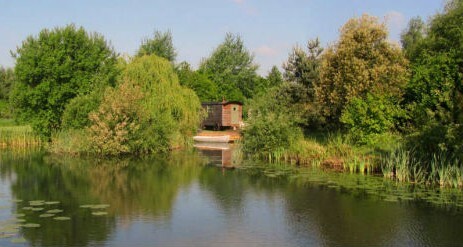 Switch off and relax, lie in a hammock listening to the trees rustling and the birds singing, take a country walk or sit in the dinghy and watch the wildlife at play on the lake. We are about two hour’s drive from London and if you want to come by train (via Liverpool Street to Sudbury) we are very happy to pick you up and drop you back to Sudbury station. 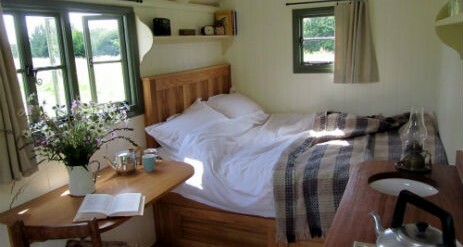 The Shepherd’s Hut and its facilities are for two people who want a bit of peace and quiet and a simpler way of life. There are torches, lanterns and candles but no telly, and no power. You can charge your phone and replenish the ice-packs at the nearby pump house but that’s as close as you get to technology! 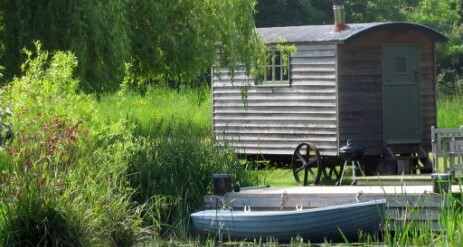 The private lake at Borleymere is just outside the Shepherd’s Hut.